At the close of my last post, I left you at Paradise Grille at the end of Main Street. However, that does not mean that I covered all the places in North East. Not in the least. I am going to try to mention another dozen places almost all within three miles of the center of town. Even after covering these attractions, there are still plenty more places that I have never visited and cannot review honestly, so don’t feel slighted if you are one of the unmentioned. Today’s narrative is for a car or bike ride, not for walking, so if you parked in in the northern part of town, you might have to retrieve your vehicle of choice before continuing here. Head south on 272 (the only direction you can go when you leave Paradise Grille) you will see signs on the right for NautiGoose pointing towards Cherry Street. It is a quiet road with a couple of speed bumps (that the signs call humps) to deter those with a lead foot from bothering the neighborhood. Almost at the end, which is only about a quarter of a mile, you will see some short pilings wrapped with ropes marking the parking lot of the Nauti Goose. This is the undisputed best waterfront view from a restaurant in North East. Check the website for their hours and menu as it is subject to change. Before you get back in your car, look to the right of the restaurant and notice a walkway that meanders along the waterfront. This is the North East Town Park, partially funded by Program Open Space of the State of Maryland. Fishing here along the rocks and on the docks is free and no one needs a license. 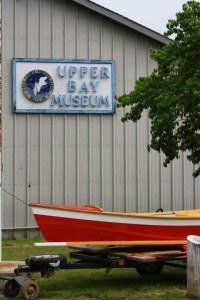 An elliptical walking trail winds through the park in front of the water, down around picnic pavilions, the Upper Bay Museum and the Boat Builders School, along a parking lot and then aside the road that leads into the park. Plenty of events are held here each year including the annual Cecil County WineFest, Salute to Veterans, car shows, charity fundraisers, marathons, and so on. It is a great place to bring the family for a picnic in front of the water of the top of the Chesapeake. If you have a kayak or canoe, you can launch it from the park and explore the waterways along the Northeast Creek. Our last stop on Turkey Point Road lies just another two miles down on the right and is a well-known place in religious circles, Sandy Cove. Here people come by the busloads for weekend retreats, church banquets, family reunions, etc. 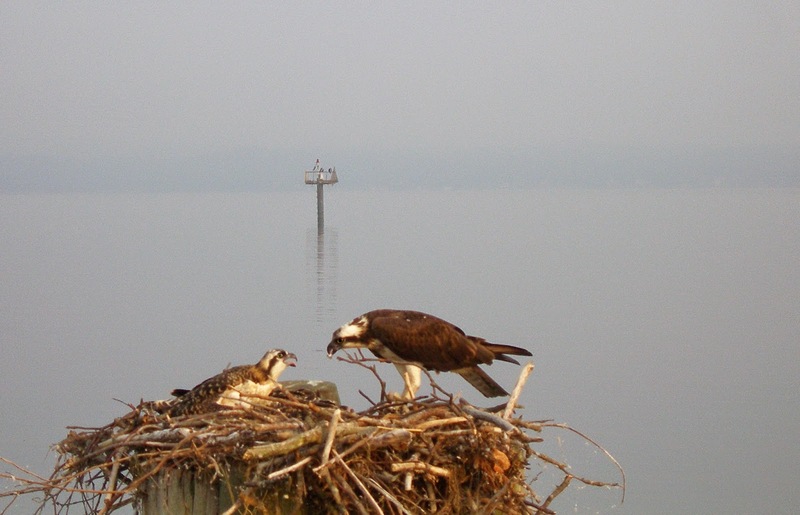 The property is impressive with its position overlooking the water of the top of the Chesapeake Bay. Their website has plenty to offer all year around and from what I hear, the visitors love the chance to enjoy the place and get away from it all. From the intersection of Sandy Cove Road and Turkey Point Road, you might as well head south and check out the rest of the peninsula. After a couple of miles the road narrows and makes a sharp turn to the right. Slow down and watch on the right for a unique church called Harts United Methodist Church with outdoor seating overlooking the rolling fields and eventually the waters of the Upper Chesapeake Bay. I know they have festivals and special events but for their schedule you would have to watch the North East Sign Board at the entrance to town. As you continue towards Turkey Point – the end of 272, you will pass signs for Boy Scouts, Sandy Hill Retreat, and North Bay Adventure Camp. These are private organizations with beautiful properties that serve the public in various forms. Elk Neck State Park starts on the left with a boat ramp and then has various entrances with plenty of signs pointing you in the direction for each of the entrances. 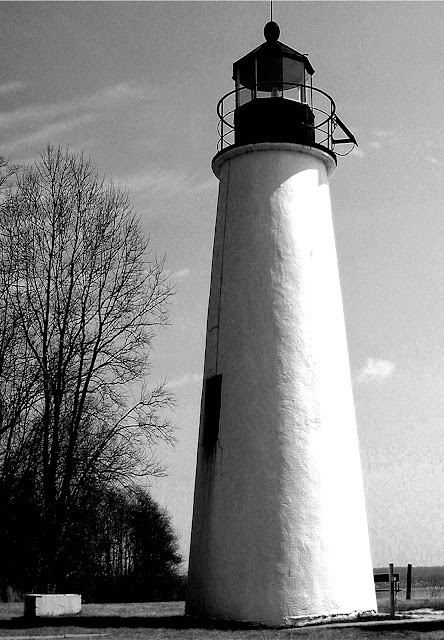 Finally, you will meander through a small community called Chesapeake Isles and into the last park entrance to the Turkey Point Light Station. The road runs along the top of the cliffs on the Northeast River side. Park your car and walk the trail out to the lighthouse. It is only about a mile and an easy walk or bike ride. Watch for eagles and osprey that soar on the updrafts from the cliffs. The lighthouse is very striking as you near the end of the trail and if you timed it right, you can climb up into the tower now that it is totally revamped. Continue past the lighthouse and walk to the edge of the cliffs. Here is a good spot to drop a blanket and watch the water down below. Ocean going ships make their way up the Chesapeake Bay into the Elk River and pass into the C and D Canal. Sailboats dance over the waves on windy days and fishing boats are always to be found. We come here several times a year to enjoy the park in the various seasons. There are pleasant trails that wind through the park and one takes you down along the water’s edge but there is a bit of a hike to get back up to the parking lot. I am not sure how long the trails along the top of the cliffs will stay open to the public as they are eroding fast from all the foot traffic and normal weather. 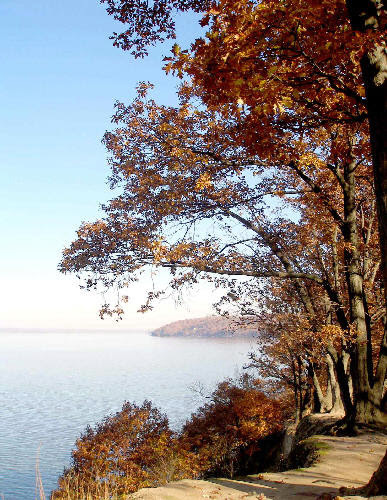 I do enjoy this park and highly recommend it to anyone in the area who wants to get outside and enjoy a magnificent view of the top of the Chesapeake Bay. Now that you have a little exercise under your feet, you can enjoy the drive back towards North East. 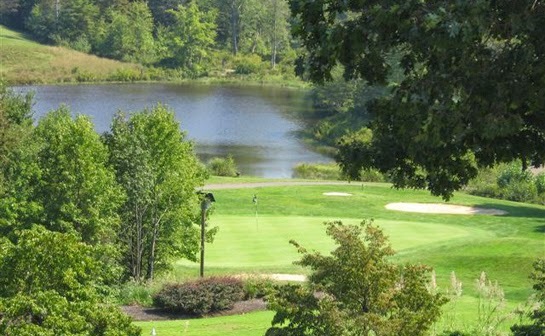 At just about 11 miles, you will notice a sign on the right for Chesapeake Bay Golf Club. Turn in and follow the signs up through the development of pretty homes to the parking lot. Although I don’t play golf, this is a beautifully maintained property with rolling hills and just a beautiful backdrop. The restaurant on the property, the Blue Heron Grill overlooks the greens and is a great place to eat. I have gone a couple of times and enjoyed their salads and sandwiches, but they have plenty more on the menu. Drive again towards town, slowing down to the posted 25 mph as you head into the corporate limits and make a right onto Thomas Ave, a block before the fire station. You will drive past the Tome School on the right. This is a private school started in 1869. 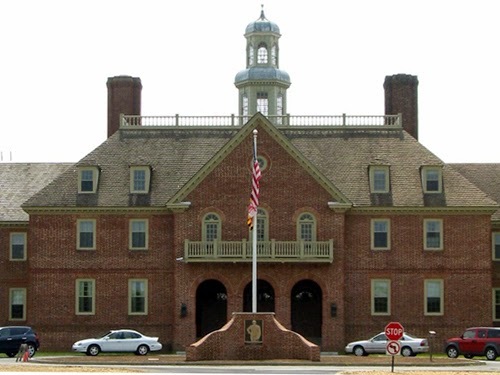 Here is a direct quote from their website, “The Tome School’s roots lie in the vision of Jacob Tome (1810-1898), a merchant, banker, and philanthropist who lived most of his life in Cecil County, Maryland, and desired a means to give back to the community. He set out to create a school that would offer the finest of education to students willing to undergo its regimen, regardless of their families’ ability to pay the cost. His commitment to this vision was so passionate that he donated much of his considerable wealth to the creation of Tome.” I can personally vouch for this school and highly recommend it to anyone who wants to be sure their child gets a good education and is prepared for success in college. So now you can continue on after that bit of history and follow the road out to Route 7. Make a quick left and then a right onto Mechanics Valley Road. Follow it up to Route 40 and make a right but get over into the left turning lane as soon as you can. Watch on the left for a bright yellow sign saying, Weaver’s Discount Liquors. 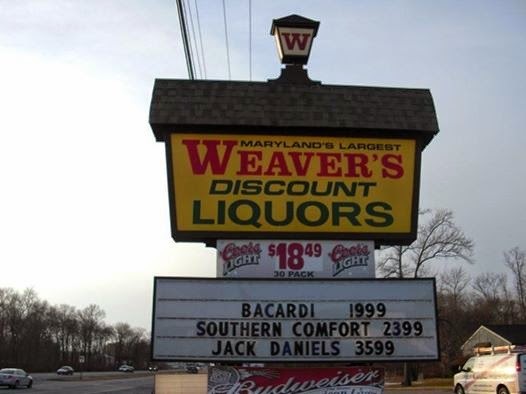 Here you will find what their sign says is the largest Discount Liquor Store in Maryland. 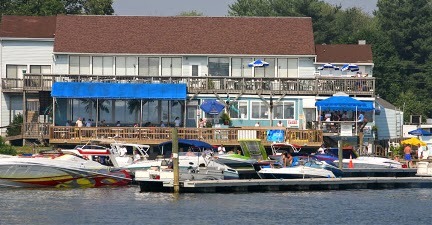 Check out their “boat” of wines for extra special prices while you are there. They stock just about everything you could want and if they don’t, just ask one of the friendly guys in their purple shirts and they will order it for you. I love coming here for the friendly conversation as well as the good deals. If we step away from food for a minute, there is an interesting venue in the northern stretch of North East at the Cecil College that deserves a mention in this post. 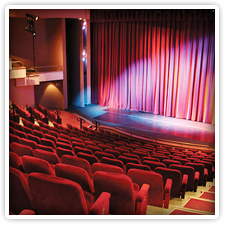 The Milburn Stone Theater brings cultural entertainment to our community with nine to ten interesting plays each year performed in their plush auditorium. Parking is free and simple, unlike the popular theaters in Baltimore and Philadelphia where you end up spending unholy amounts of time looking for a way to park your car and then have to pay almost as much as your theater ticket. Milburn has a busy schedule so be sure to check their calendar. It’s fun to plan a fun evening of theater and then eating out in North East; you will not be disappointed. Heading back south towards downtown North East, you will pass through the big box retail area, over route 40. Watch on the left for a small strip of stores just opposite the entrance to Lowes and West Marine. 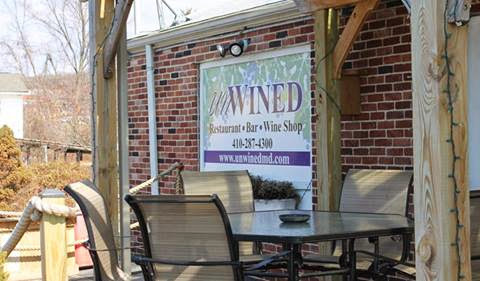 UnWined is a family run restaurant that serves a surprising variety of wines, fun cocktails and a hefty beer selection. Their chef prepares local ingredients daily, including fresh bread. My favorite part of UnWined is their menu of mouthwatering small plates like Bacon and Leek Tart or Crab Napoleon or Bacon wrapped Scallops… Who needs to order an entrée when you can enjoy these delicacies? The Methvane family has worked tirelessly to bring their restaurant to the forefront of eating in North East by also offering full wine tasting events every few weeks. Do yourself a favor and stop in on any afternoon or evening except Monday. So, I bring this narrative to a close by bringing you back into North East where you will inevitably have to stop at the light in front of the Black Pearl. Turn your head away from the almost naked mermaid and look to your right down Route 7 west and notice Bella Pizza. This is for all you Italian food lovers who want hand tossed pizza, cheesy lasagna or eggplant parmesan, hand-cut French fries or calzones among other classic offerings. 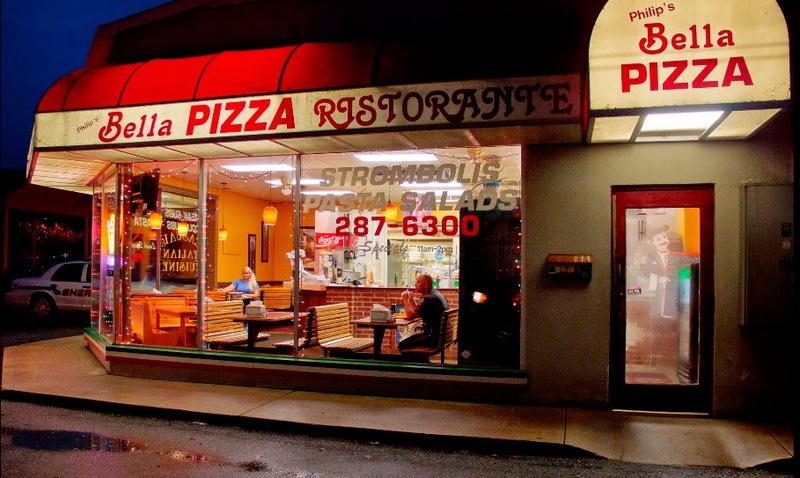 This is the North East classic pizzeria Italiana and they are open seven days a week. If you want a break from the chain stores, come in here and first smell and then taste their freshly made old-style pizzas. Their calzone is big enough for two and comes with a tomato sauce that contrasts perfectly with the cheesy goodness. 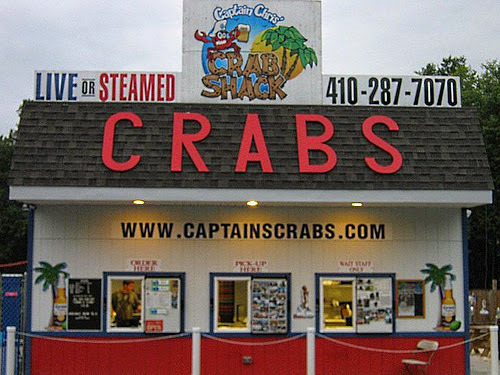 I hope I leave you satisfied at least temporarily as I will be back to describe more places nearby that I enjoy here in North East Maryland.